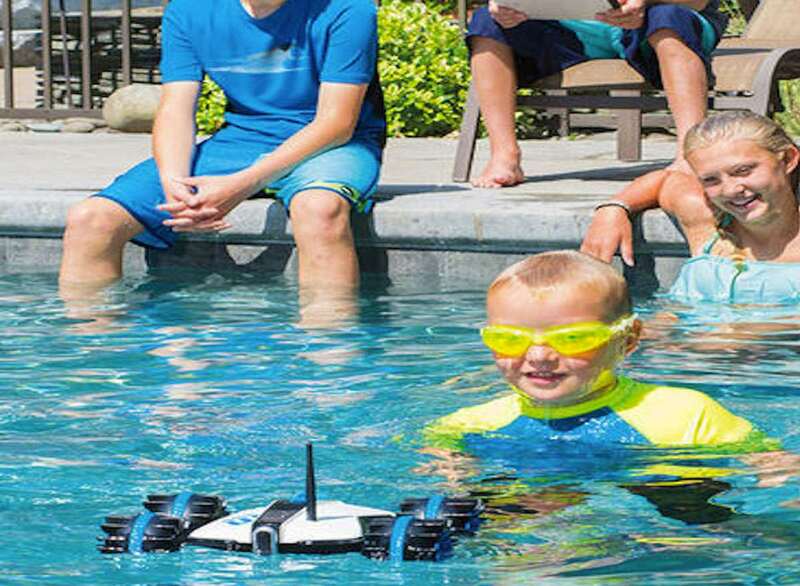 An Rover Land & Sea App-Controlled Amphibious Vehicle is a sneaky gift for a kid. 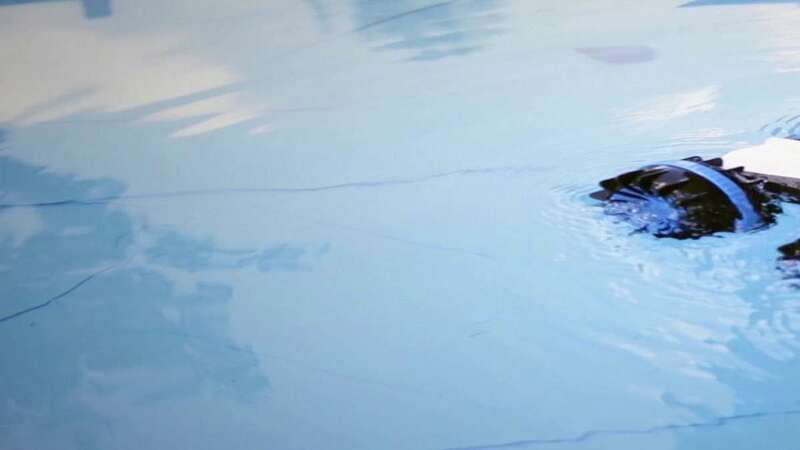 Sneaky in that the kid will love being able to use the new toy as easily in a lake or swimming pool as in the living room or backyard, and you'll love...being able to use the new toy as easily in a lake or swimming pool as in the living room or backyard after your kid goes to sleep. 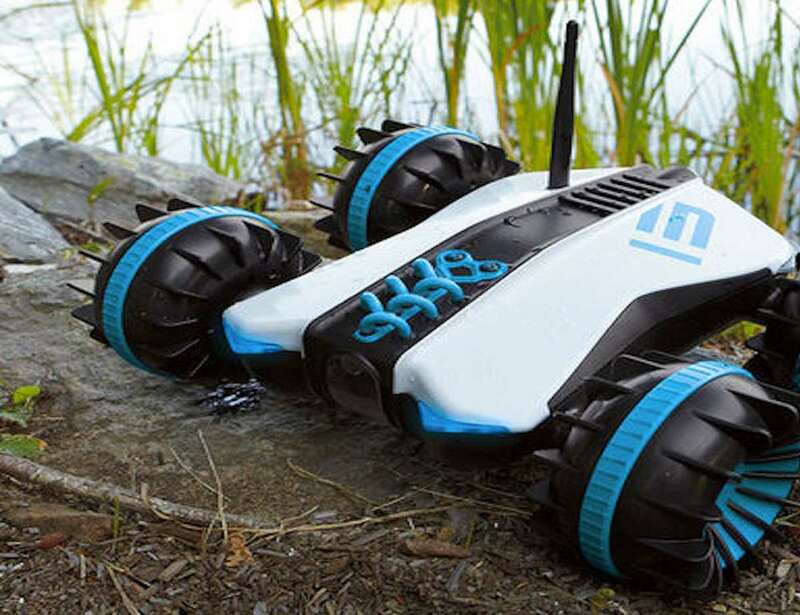 The indoor / outdoor RC Rover follows orders given through a free iOS or Android Rover app. In addition to basic navigation - which you can accomplish with on-screen controls, or by using your device like a steering wheel - the app gives drivers access to the vehicle's headlights and underwater LEDs, onboard camera, and two-way audio. Capture video of the Rover's travels and missions with the 90-degree rotational camera, and view it in real-time, or share it instantly online. Use the built-in speaker to listen in, or talk to anyone in the Rover's path. The multi-talented amphibian even has route memory capabilities, so it can repeated saved journeys without controller input at all. 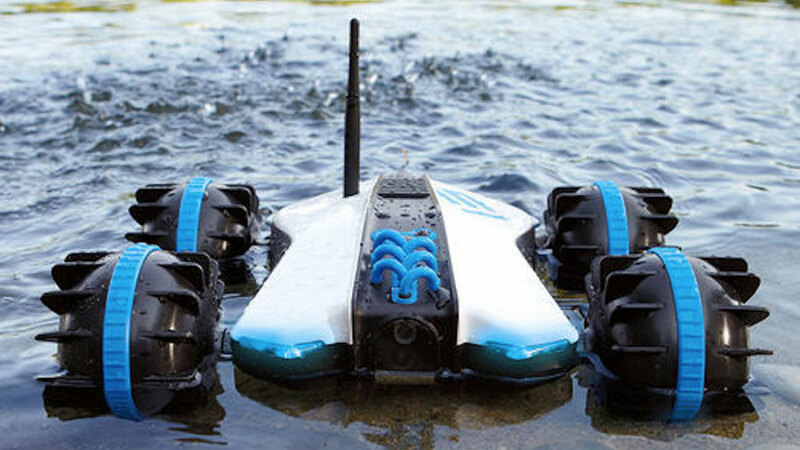 When the Rover moves from solid ground to water, fins on its wheels take over for propulsion. Wireless range for app control is 150 feet.